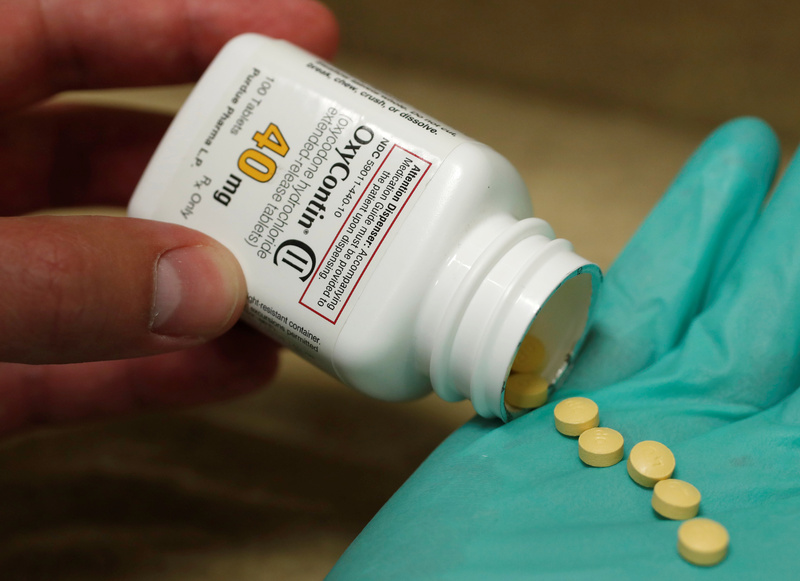 A coalition of 500 cities, counties and Native American tribes is suing OxyContin maker Purdue Pharma and some members of the billionaire family that controls it over the country’s deadly opioid crisis. “This nation is facing an unprecedented opioid addiction epidemic that was initiated and perpetuated by the Sackler defendants for their own financial gain,” attorneys representing the communities wrote in the filing. The suit against Purdue Pharma and at least eight members of the Sackler family was filed earlier in March in a southern New York federal court, reported The Guardian Friday. The suit is being brought by communities in 26 states and eight tribes, CBS reported. It accuses the parties of racketeering. The suit alleges that while the Sackler family has an estimated net worth of $13 billion, the opioid crisis cost the U.S. over $504 billion as of 2015. The suit also links the opioid crisis to allegedly aggressive and even deceptive marketing of prescription opioids by Purdue Pharma and members of the Sackler family. These baseless allegations place blame where it does not belong for a complex public health crisis, and we deny them. The company our fathers and grandfathers founded manufactures an FDA-approved medicine that has always represented a tiny portion of the opioid market — never more than four percent of nationwide opioid prescriptions and currently less than two percent — while providing life-changing relief for the millions of pain patients who need it. While we have always acted properly, we remain committed to making a meaningful contribution to solutions that save lives by preventing diversion and abuse of prescription medicines and treating those who are suffering from addiction. This complaint is part of a continuing effort by contingency fee counsel to single out Purdue, blame it for the entire opioid crisis in the United States, and try the case in the court of public opinion rather than the justice system. … Instead, the plaintiffs are seeking to publicly vilify Purdue, its executives, employees and former directors while unfairly undermining the important work we have taken to address the opioid crisis. The complaint is riddled with inaccurate allegations. Absent from the complaint is any acknowledgement of the fact that most opioid overdoses now result from heroin and illicit fentanyl. In fact, rates of overdoses from illegal fentanyl have skyrocketed. This suit is the latest in a litany of legal action against Purdue Pharma and members of the Sackler family in multiple states. Massachusetts Attorney General Maura Healey has gotten press for filing a suit in June 2018 alleging the parties misled doctors and patients about the risks of opioids to increase prescriptions. Some critics blame the way Purdue Pharma promoted OxyContin for the roughly 200,000 prescription opioid-related overdose deaths since 1999. One of London’s most prestigious art institutions will not be accepting a grant worth roughly $1.3 million dollars from the Sackler Trust, an organization connected to the late Mortimer Sackler. Other prescription opioid makers are starting to face lawsuits like the ones brought against Purdue Pharma. An Oklahoma suit against several drugmakers will paint Johnson & Johnson as an opioid “kingpin,” according to media reports in mid-March.